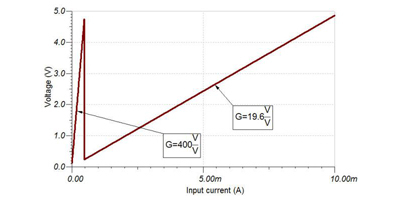 This TI Reference Design provides the theory, component selection, and simulation of a single-supply, precision low-side current sensing solution that can accurately detect load currents from 10uA-10mA. The corresponding linear output is from 100mV to 4.9V. 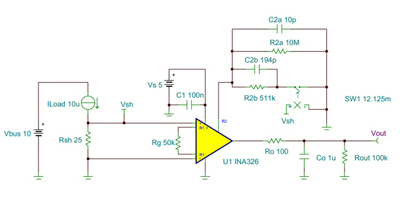 While traditional op amps can be used for such an application, the INA326 instrumentation amplifier enables a differential measurement and minimizes errors due to PCB parasitic. The INA326 can be used in low-side current sensing because the unique internal circuit topology allows for linear rail-to-rail input and output operation. A unique yet simple gain switching network was implemented in order to realize the wide load current range.